Sussex and former England all-rounder Luke Wright has announced his retirement from red-ball cricket. Wright, who played 144 games in a 15-year first-class career, was not in the squad for their opening County Championship game of 2019. However, the 34-year-old will continue to captain the Sharks in the T20 Blast and also remains available for their One-Day Cup campaign. “The door has never been closed,” coach Jason Gillespie told BBC Sussex. “We made that very clear with Luke. This is his decision and and we’re just delighted he’s able to stay with us longer in the shorter forms of the game. “He wants to play for a good four or five years yet and feels this is the best way. “It’s a sad day because he’s played some wonderful cricket for Sussex but it’s his decision and we’re all fully supportive. Wright began his career with his native Leicestershire, but moved to Hove in 2004 and quickly became a key component in Sussex’s success. They won back-to-back County Championship titles, as well as four limited-overs trophies, during the next five years. Wright played 50 one-day internationals and 51 Twenty20 internationals, helping England to win the World Twenty20 tournament in 2010, although he never made a Test appearance. 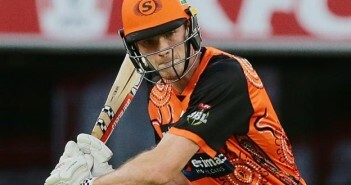 He has also featured regularly in T20 franchise cricket around the world, playing in the inaugural season of Australia’s Big Bash, as well as leagues in India, Pakistan, South Africa and Bangladesh.